From the 1-st till the 6-th of November in China on the premises of the Zhuhai airport (the Guangdong province) the 11-th Aviation salon «Airshow China - 2016» took place. Civil and military aircraft were presented to the visitors as well as space technologies, ground equipment, jet and aircraft engines, missiles, rockets and aircraft weapon, navigation and flight control, air defense systems etc. 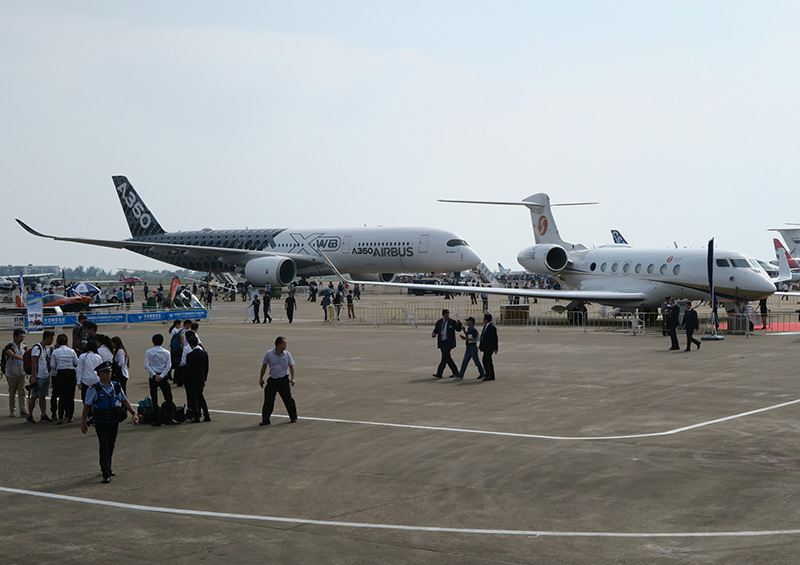 The aviation salon programme included not only the presentation of aerospace production and flight demonstrations but also an extensive business agenda. 700 exhibitors from 40 countries all over the world participated in the Aviation salon this year. More than 70 forums and business meetings were held during the work of the international exhibition in Zhuhai. GosNIIAS participated in the work of the consolidated bench of the RDE “The Zhukovkiy institute” and in signing of Strategic Cooperation Treaty between Chinese Aeronautical Establishment and RDE “The Zhukovky institute”. 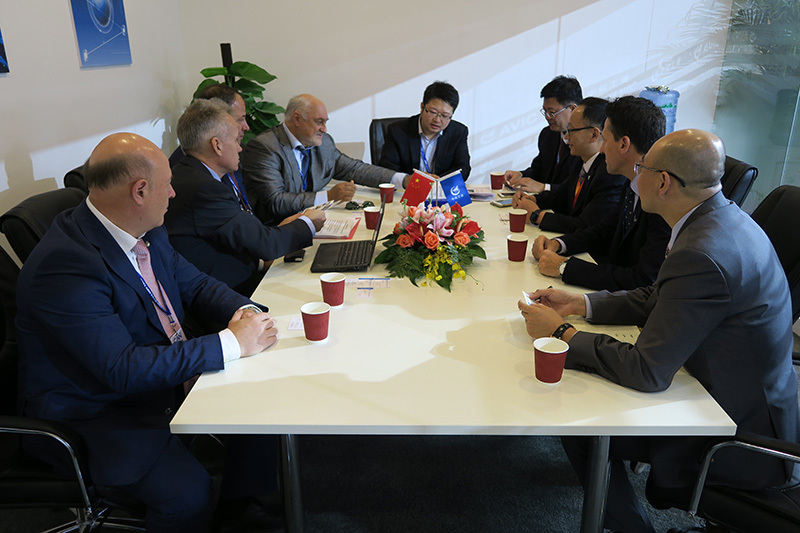 In the framework of the business agenda the FSUE “GosNIIAS” delegation headed by its General Director, RAS academician Sergey Zheltov conducted negotiations with the management of AVIC CARERI, AVIC SAE, AVIC TAICO, AVIAGE SYSTEMS, Vision Microsystems and other companies. Understanding of the necessity of future cooperation and an agreement of the on an offer exchange in the chosen directions of the joint efforts was reached. 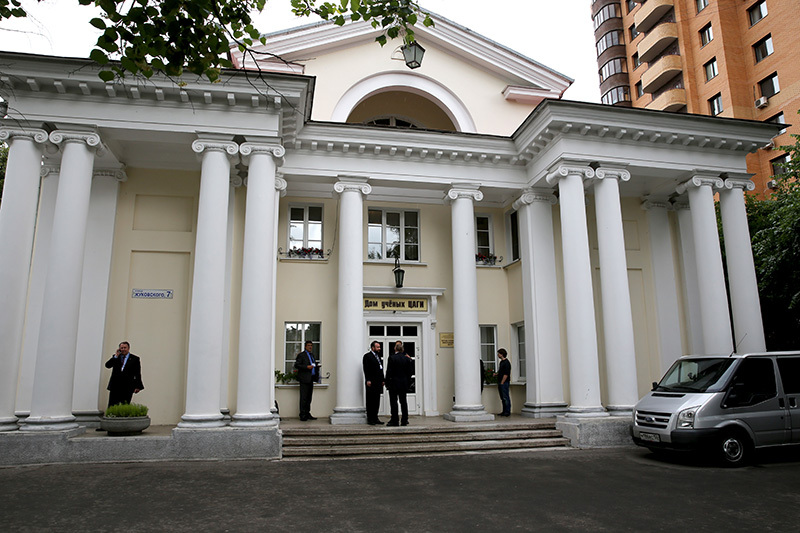 Elections to the Russian Academy of Sciences - 2016. At the end of October the most broad-scale elections throughout history to the Russian Academy of Sciences were over completed. In accordance with the RAS announcement of the 22nd of April concerning holding the elections of RAS academicians and RAS corresponding members by scientific organizations, higher education organizations, RAS research boards and by RAS members 481 academician candidates and 1792 corresponding member candidates were nominated for the elections. 323 corresponding members and 176 academicians became new members of the Russian Academy of Sciences. 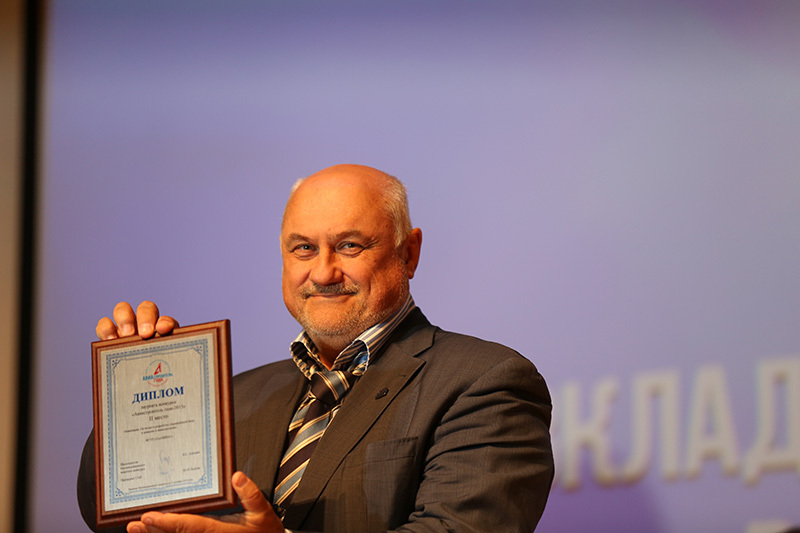 By the general assembly of RAS members held on 27-28 of October 2016, in line with Statutes the RAS Sergey Zheltov, the GosNIIAS General Director was elected for academician in the “RAS Department of Energetics, Engineering, Mechanics and Management Processes”. The GosNIIAS team congratulates our Director on the election as a full member of the Russian Academy of Sciences. We wish him new scientific achievements, health and well-being. GosNIIAS on the 11-th International Conference on Intelligent Data Processing. The 11-th International Conference on Intelligent Data Processing – the scientific conference on mathematical cybernetics and theoretical informatics was held in October 2016 in Barcelona (Spain). 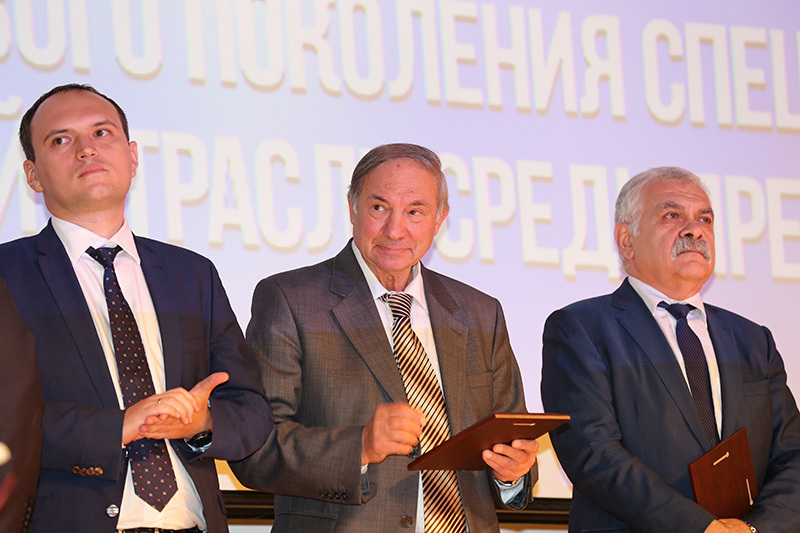 The conference was held under the auspices of the Russian Foundation for basic research, Moscow Institute of Physics and Technology, Forecsys Company and Forecasting and Recognition Center. The IDP-2016 Conference is the premiere forum of database mining researchers and professionals for discussion, distribution and promotion of advanced, achievements and developments. “Change Detection in the Sequences of Images in Complex Scenes”: Boris Vishnyakov, Sergey Sidyakin, Nikolay Roslov, Yuri Vizilter. “Real-Time Face Identification via CNN and Boosted Hashing Forest”: Vladimir Gorbatsevich, Yury Vizilter, Andrey Vorotnikov and Nikita Kostromov. “Classification of Two-dimensional figures using Skeleton-geodesic Histograms of Thicknesses, Distances and Directions”: Nikita Lomov, Sergey Sidyakin, Yuri Vizilter. “Recognition of Digital Fonts from images based onthe Disk Cover”: Leonid Mestetskiy, Nikita Lomov. “Morphological Image Matching Using Deep Convolutional Neural networks”: M.A. Lebedev, N.A. Kostromov, A.Yu. Rubis, D.V. Komarov, O.V. 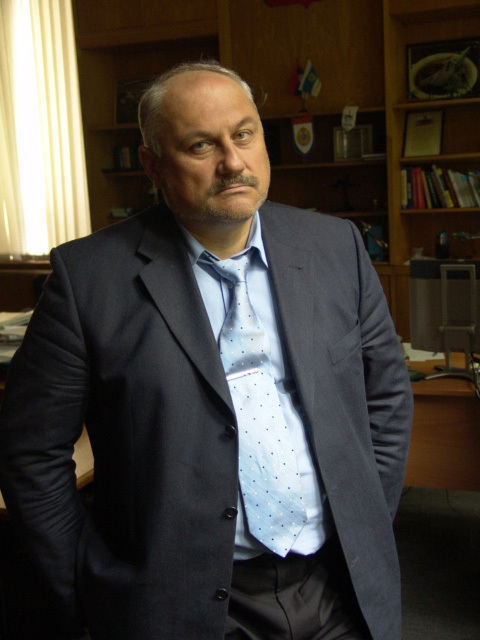 Vygolov, Yu.V. Vizilter. Besides public speaking, our specialists held a number of interesting and important meetings with the scientists of universities, representatives of scientific organizations, potential users of the Intellectualized information technologies. On the 22-th of September 2016 on the Gelendzhik coast there was held the 11-th International exhibition and a scientific conference on hydroaviation "GIDROAVIASALON – 2016". GosNIIAS traditionally participated in this forum, this time as part of the of Zhukovsky R&D Center integrated exposition. 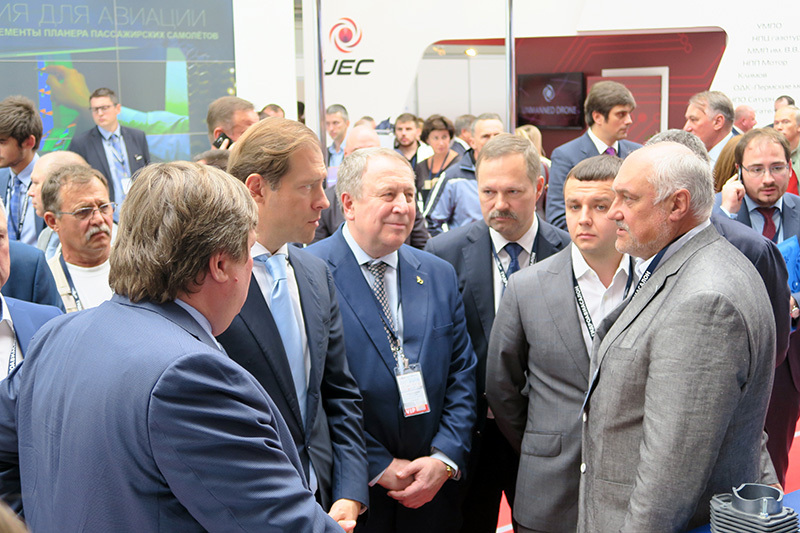 The Minister of Industry and Trade of the Russian Federation D. V. Manturov as well as the deputy minister A. I. Boginsky and many others were guests of honor of the exhibition. The guests showed a keen interest in the scientific research results presented in the integrated exposition of the Scientific Research Center and in particular to the GosNIIAS materials. This year GosNIIAS acquainted visitors of the exhibition with the last national developments in the civil aviation systems and the adjoining applications, such as the integrated modular avionics, systems of the improved and synthesized vision, methods of monitoring the current equipment configuration through the use of RFID technologies, Air Traffic Management systems and many others. It was emphasized that ensuring access for domestic developers and producers to advanced technologies that promotes essential cost reduction in creating new products is considered as one of the institute’s focus areas. Within the business program of the forum the GosNIIAS General Director Sergey Zheltov took part in a meeting regarding the quality of aeronautical equipment of the Ministry of Industry and Trade of the Russian Federation. 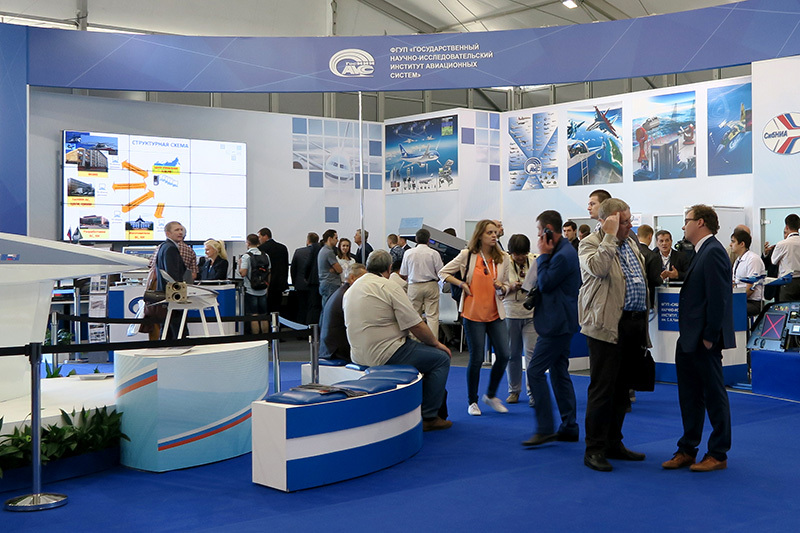 All in all, the "HYDROAVIASALON–2016" has become not only the platform for demonstrating of the latest developments in the field of hydroaviation and business dealing, but also the meeting place for colleagues, partners and friends. Aircraft Industry Worker of the Year Award. 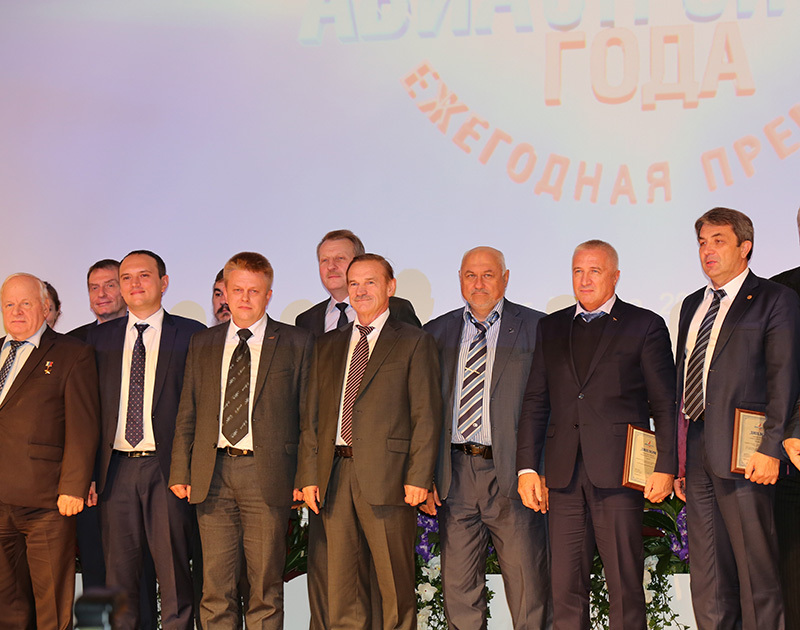 An enlarged meeting of the Organizing Committee of the “Aircraft Industry worker of the of Year" Awards took on the 5th of September 2016 following the results of 2015. During the meeting, the contest results of 7 out of 8 nominations were summed up. Due to the small number of participants, in the nomination of training a new of generation of specialists in the aircraft manufacturing branch among Higher Education Institutions it was decided not to decide on the winner. More than 100 of works of enterprises, organizations and creative teams were examined in the competition. 130 members of the Expert Council made an expert assignment following the results of the year 2015. There were selected the works of the 77 enterprises. Not only members of the Expert Council performed the expert assignment of works but also, for the first time, it was permitted to do it by open voting on the Aircraft Producer Union website. The rewarding ceremony of winners and laureates took place at the official ceremony on the 29th of September at the World Trade Center. At the beginning of the award ceremony, the host made an inaugural address where he stated that the Award takes place for the fifth time and already has its history. For all these years 160 enterprises and teams of contributors took part repeatedly in it, 50 became winners. Therefore, the level of the competition is very high. Thus the main objective of the competition remains promoting achievements of developers and producers of aeronautical equipment and its components. David Melcher, the ICCAIA chairman of board of directors, addressed all attendees with a welcoming speech, noting that the progress of our aviation industry helped to stimulate further innovations within the global aviation system, and we should to be proud with good reason of our outstanding achievements. Mister Melcher wished everybody great success in the future. The Organizing Committee expressed gratitude to all collectives and entities of the aviation industry enterprises for their dedicated work providing ensuring defense capability of the country, transportation of passengers and freights. Nomination №2 "For the training of the new generation of aviation specialists among the entities"
The 1-st place the PJSC Sukhoi Company Branch "Komsomolsk-on-Amur aircraft factory named after Gagarin"
Nomination №8 "For a contribution to developing a regulatory base in aircraft and aviation industry"
The president of the International congress of industrialists and entrepreneurs, the honored mechanician of the Russian Federation Victor Glukhikh noted the importance of developing a regulatory framework in the domestic aviation whereupon he solemnly handed an award for the second place to CEO of FSUE “GosNIIAS” Sergey Zheltov. CEO of FSUE “GosNIIAS” thanked the team of constructors of the presented work and drew attention to a question of certification documentation. He noted that this award is important for our institute. 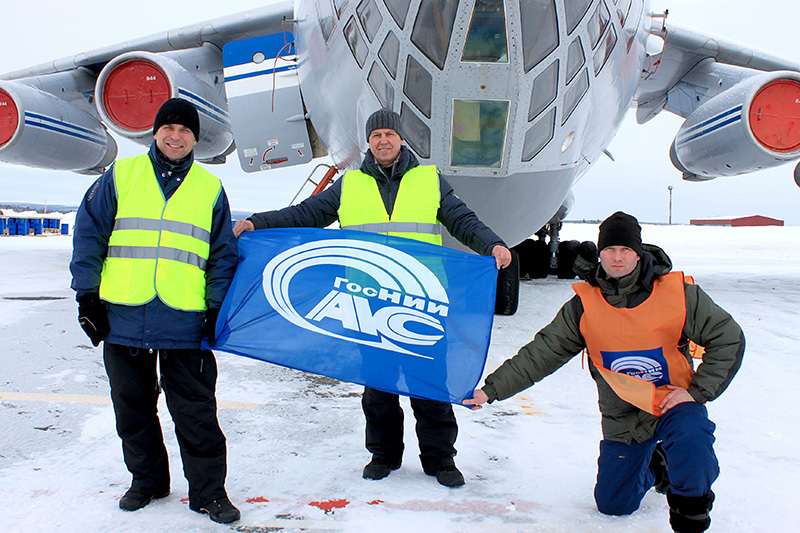 Sergey Zheltov marked out the founders of the competition, giving appreciation to this action and its importance for development of domestic aircraft industry. For more detailed information concerning the competitive works which took part in the nomination "The Aircraft Manufacturer of the Year — 2015" please contact info-ved@gosniias.ru. GosNIIAS on CVPR – 2016. GosNIIAS delegation headed by U.V. Vizilter visited annual conference “Computer vision and image recognition – 2016” which took place in the USA, Nevada State, Las Vegas City from 26-th of June till 1-st of July 2016. Our specialists delivered a speech on the SVPR 2016 Biometrics Workshop conducted amid the Conference. 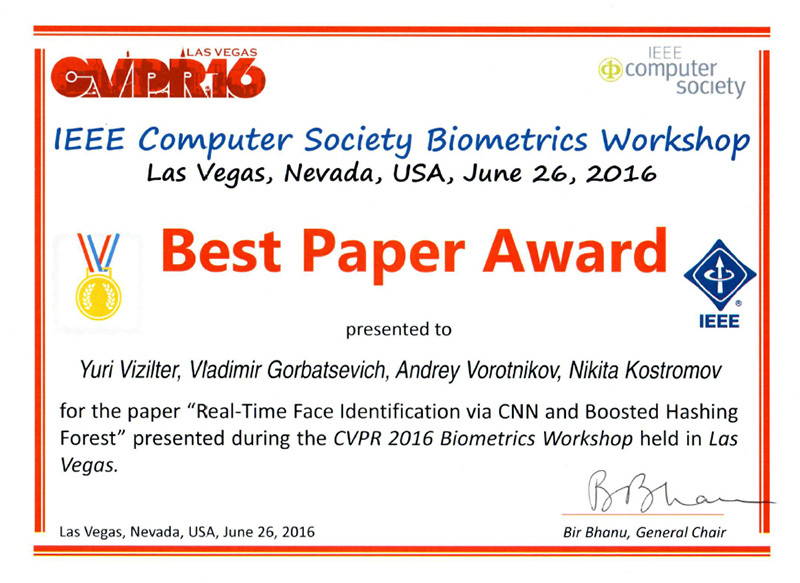 Their report entitled “Real-time face identification via CNN and Boosted Hashing Forest” won the «BEST PAPER AWARD». FGUP GosNIIAS at the North Pole. "Synthetic vision in control systems" conference – 2016. 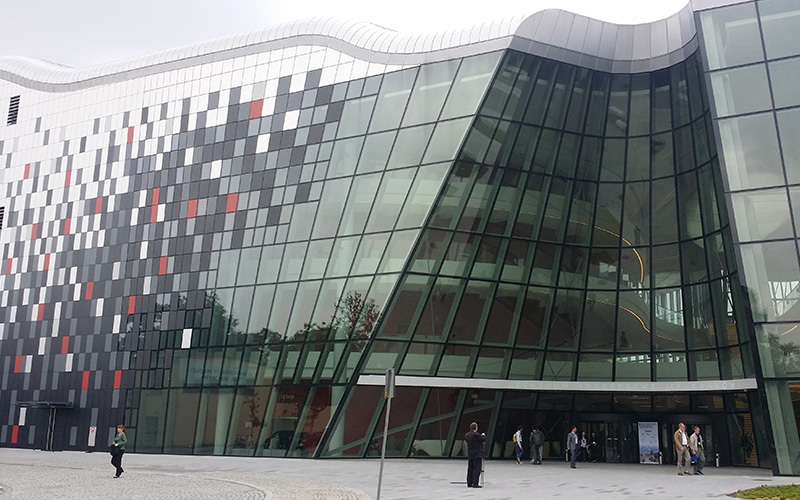 FGUP GosNIIAS, IKI RAN and KIAM have held a 7-th scientific conference “Synthetic vision in control systems” at the RAN Space Research Institute (IKI) in Moscow. The conference was aimed at facilitating the exchange of information and experience in developing operational systems. At the conference specialists in hardware, software and algorithmical support of synthetic vision systems and mobile objects control with synthetic vision have presented their reports that included objectives for the use of synthetic vision. For everybody interested there was an access to the livestream of the conference and the possibility to present their report via Skype. The event was attended by specialists of enterprises and scientific centers that are using synthetic vision technology as well as lecturers of institutes and universities that have courses on synthetic and computer vision. The conference was dedicated to various aspects of development of synthetic vision for control systems. Special attention was paid to airbone synthetic vision systems, designed to maintain for autonomous and automated control in complex, uncertain and rapidly changing situations. To learn about the key points of reports please visit the conference official site at http://tvcs2016.technicalvision.ru. 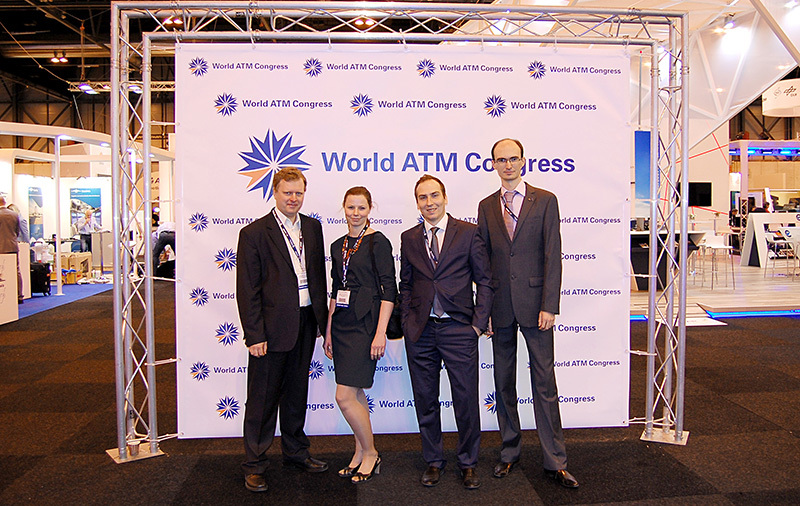 The FGUP GosNIIAS experts visited the 4th World Air Traffic Management Congress (World ATM Congress 2016). The event including an exposition and a conference was organized in Madrid by the ATCA (Air Traffic Control Association) and CANSO (Civil Air Navigation Services Organization). Our specialists could study the technological innovations and changes in airport management, presented at 6 cites platforms and the latest developments in air traffic simulation. Within the framework of the conference several reports by specialists of the leading scientific centers and enterprises were presented which focused mainly on the prospects of pilot – air traffic controller interactions as well as management and security of an airport. During the Congress the GosNIIAS specialists had several negotiations and meetings with designers where they discussed the future tasks for the whole aviation sector including research work management in the field of software designed to simplify pilot – air traffic controller interaction. All of the GosNIIAS partners have been invited to the Russian scientific conference “Aviation systems of the 21-st century” marking the 70-th anniversary of the Institute that will take place 26-27 May 2016 at the GosNIIAS. For further information please visit http://gosniias.ru/news.html#020216. Ad materials of GosNIIAS stand at MAKS-2015 are now available in electronic version. 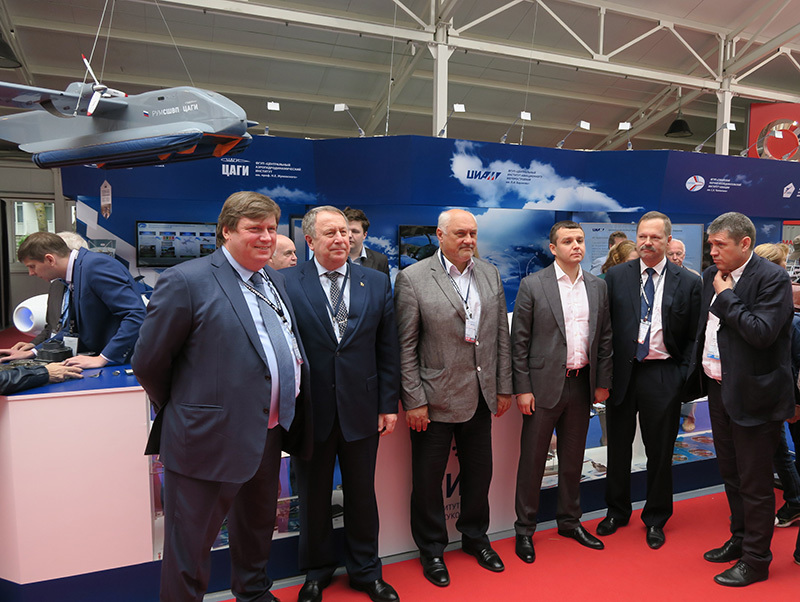 GoSNIIAS presented a wide exposition dedicated to various activities of the institute at the MAKS-2015. 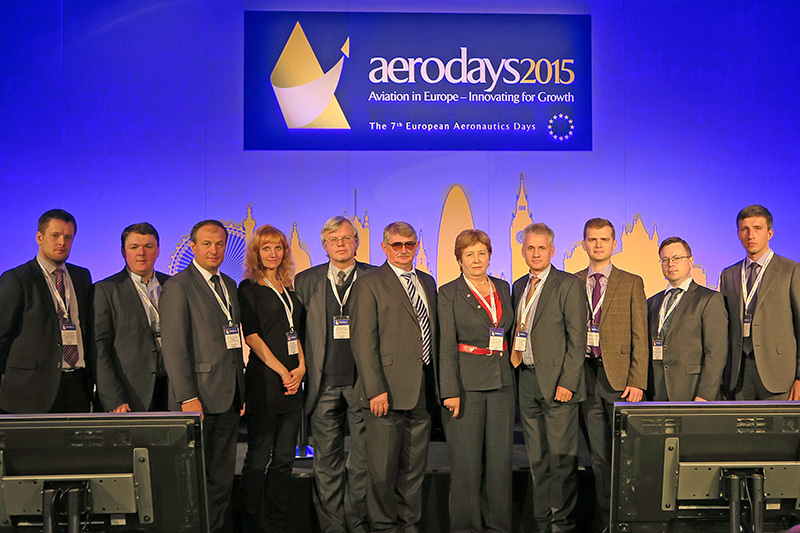 The representatives of GosNIIAS participated in Aerodays 2015 international conference that took place in London 20-23 October, 2015. The conference was dedicated to the key issues of the aviation industry development. This event involved more than 1000 participants, including specialists from the European Commission, authorities, leading developers and aviation equipment manufacturers. 54 sections where 280 reports were delivered were organized within the conference. 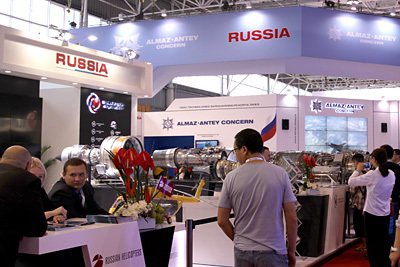 In addition, an exhibition involving more than 90 companies took place amid the Aerodays 2015. The attendees to the conference underlined the necessity to improve the techniques of staff training. The particular attention was given to career guidance and early-bird staff training. All in all, the speakers stressed on the necessity of international cooperation between Europe, America, Russia and Asia for solving problems with which aviation market insiders encounter. 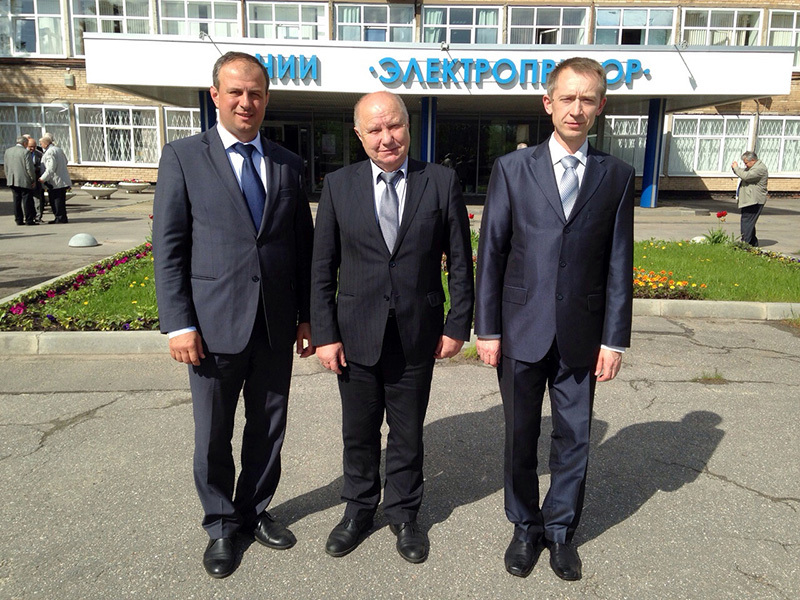 Within the Aerodays 2015 GosNIIAS experts held series of meetings and negotiations. 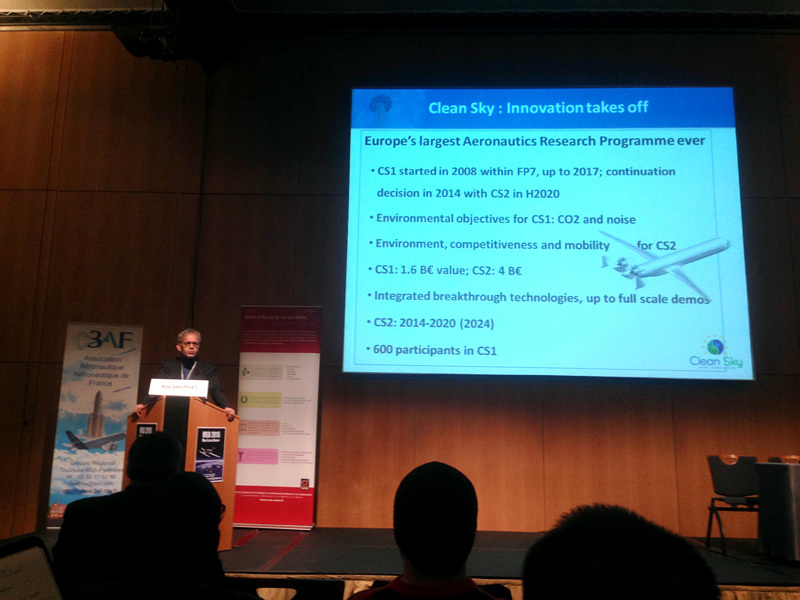 Presentations from the plenary and technical sessions which have been made available for publishing can be accessed via the links below http://www.aerodays2015.com/presentations/. 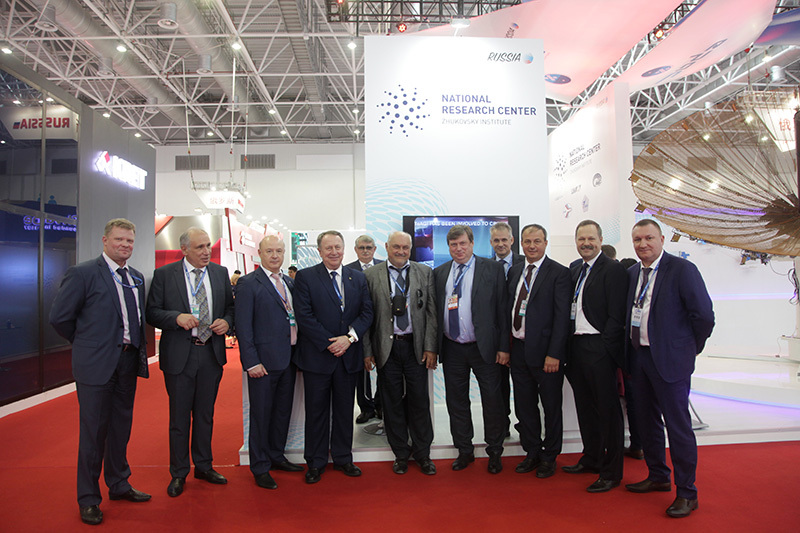 The 12-th International Aviation and Space Salon MAKS-2015 has ended. 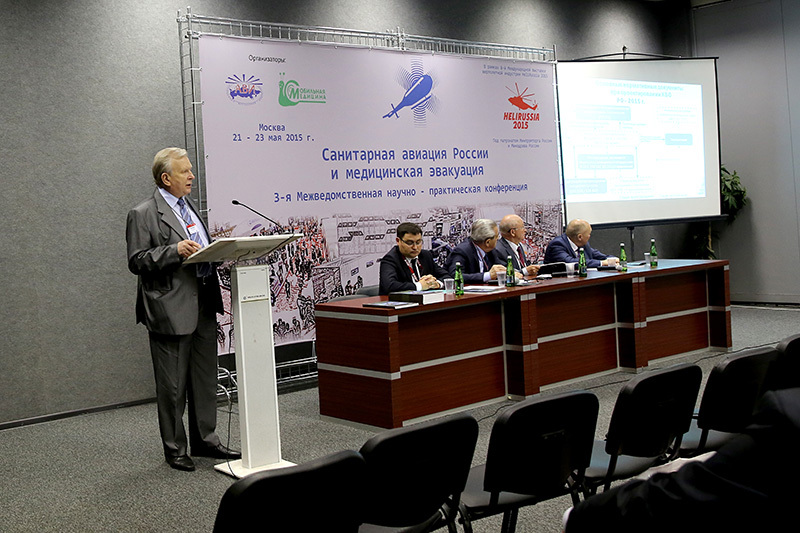 The 12-th International Aviation and Space Salon MAKS-2015 which took place in the Zhukovsky town has successfully ended. The State Institute of Aviation Systems showed there an exposition which reflects various activities of the Institute in the field of modern aircraft avionics and aviation systems designed for civil and military applications. The GosNIIAS exhibition drew focused attention of the economic branch experts, mass media and foreign delegations. During the salon GosNIIAS team conducted more than twenty productive meetings with Russian and foreign partners. Also they organized an open presentation of the last self-engineered products in the field of aviation systems modeling, prototyping, and perspective ATM complexes, synthetic vision and the other results of the various projects conducted in the GosNIIAS. More detailed report of the GosNIIAS participation in the salon will be published later. GosNIIAS experiment laboratory confirms its AT and OGA Certification System status. The GosNIIAS avionics software and equipment experiment laboratory been certified as an operational experiment laboratory for a new term. 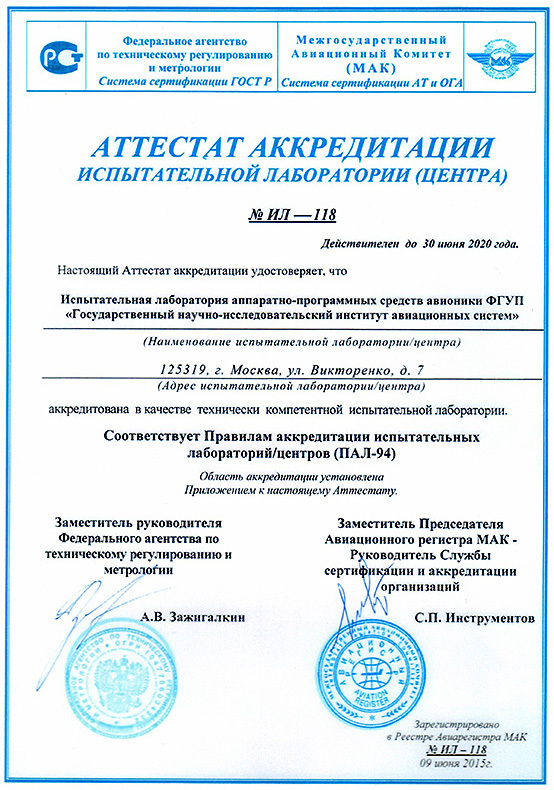 The MAK air registration board (AT and OGA Certification System) and the Federal Agency for technical regulation and metrology (GOST R Certification System) confirmed that the GosNIIAS experiment laboratory complies Certification rules for experiment laboratories/centers (MP-2010 and PAL-94) and granted it with Certificate № IL-118. Avionics and flying vehicle systems with digital components. GosNIIAS at the EUCASS-2015 conference. 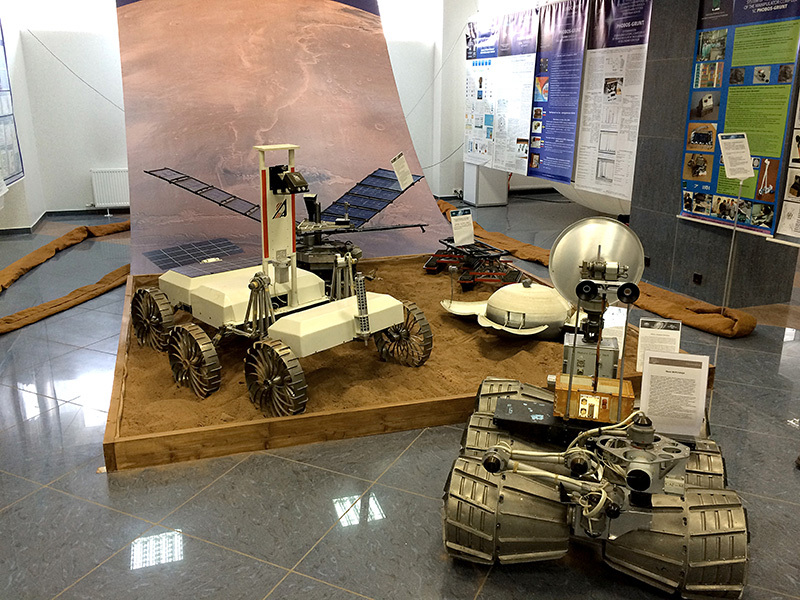 The 6th European space sciences conference (EUCASS-2015) was held in Krakow from 29 June to 3 July 2015 under the auspices of Poland’s Ministry of Economy. The event was organized by the EUCASS Association in cooperation with the Polish committee for organization, headed by professor Marek Banashkevich – president of the Polish Space Sciences Academy (POLSA). EUCASS is the leading European conference held every 2 years. It covers all the theoretical and practical sides of the aeronautic science. The earlier conferences were organized in Moscow (2005), Brussels (2007), Versailles (2009), St Petersburg (2011) and Munich (2013). The conference is aimed at demonstrating the results of practical and theoretical research in aircraft gas- and hydrodynamics, power plants, aircraft design models, atmosphere and space flight physical characteristics, navigation and control systems, avionics, design materials and in many other related fields of the aerospace science, including IT, mechanics, fuel chemistry, power engineering, ecology and economy. The principal purpose of the conference is to get together the Russian and European aerospace scientists and to coordinate international research and joint projects organized by international funds. Flight dynamics/Orientation, navigation and avionics control. Turbojet and rocket power plants physics. Zybin E.Y., Kosyanchuk V.V. The possibilities to increase the aircraft fail-safe using the single approach to identification and reconfiguration. Vygolov O.V., Gorbatsevich V.S., Knyaz V.A., Kashirkin S.V., Vizilter Y.V., Zheltov S.Y., Brondz D.S. The autonomous helicopter hovering video stabilizing system. Skavinskaya D.V., Orlov V.S., Gabeydulin R.K. AZN-V aircraft system model imitation. 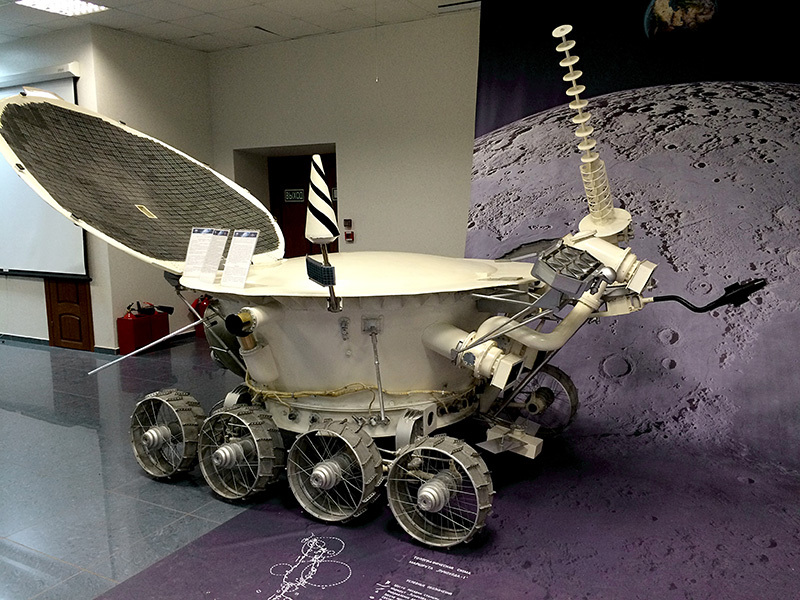 Online registration for participants of the international research and practice conference “State and prospects of development of the onboard equipment in the field of IMA and CMS/ATM”, conducted by the GosNIIAS as a part of the International Aviation and Space salon “MAKS-2015” is now open. Airborne equipment — prospects of development for flight safety ensuring. Challenging technologies and CAD tools for avionics. Certification methods for highly integrated airborne equipment. CNS/ATM and avionics — current state and prospects. Date: 27th of August 2015. Location: The Board of Scientists of TSAGI (Zhukovsky city). ISPRS WG V/5 and WG III/3 international workshop “Photogrammetric techniques for video surveillance, biometrics and biomedicine” – PSBB15. 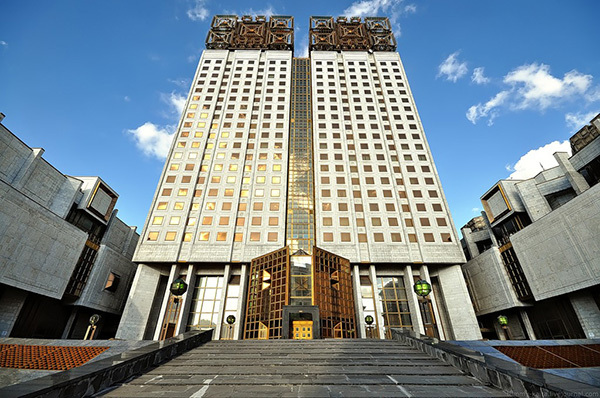 GosNIIAS and Moscow State University of Geodesy and Cartography organized a seminar of the International society of fotogrammetry and remote sensing “Photogrammetric techniques for video surveillance, biometrics and biomedicine” - PSBB15 which took place in Moscow from May 25 to May 27, 2015. The CEO of the GosNIIAS S.Y. Zheltov delivered a welcoming speech. The latest developments and the perspective directions in the field of the fotogrammetric of researches were discussed at the seminar. There were covered the following topics: the movement analysis, detection and tracking of the object of the video surveillance, recognition of gestures, the analysis of crowd and individual behavior assessment of individuals in the crowd, biometrics and biomedicine. Moreover, the 3D technologies in the context of body modeling, measurement and shape analysis were studied as well as the virtual and augmented reality technology issues. 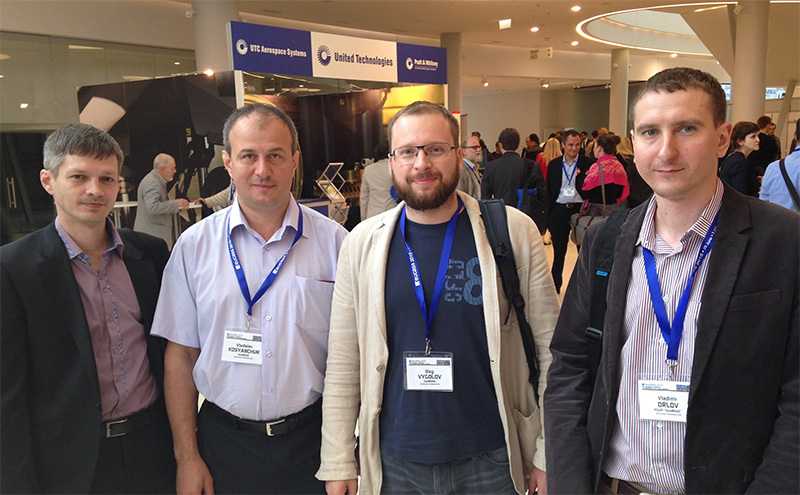 The XXII international conference of the integrated navigation systems in St.Petersburg (MKINS-2015). 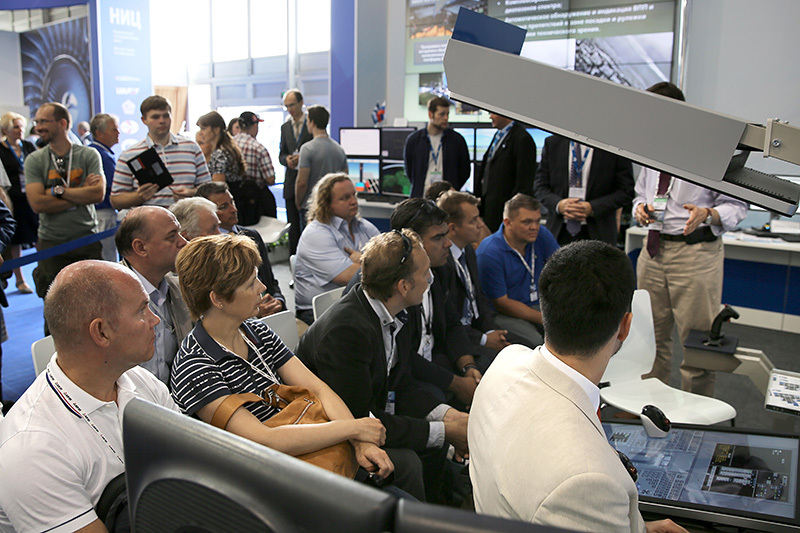 On May 25-27 GosNIIAS took part in the International conference of the integrated navigation systems. The conference has become a traditional place of the ideas exchange in the field of the navigation and traffic control for scientists and engineers from all over the world. The conference covered such topics as the inertial sensors design, navigation and orientation systems design, micromechanical sensors and systems on their basis, global navigation satellite systems, alternative navigation systems and sensors, pointing and control systems and their elements, the integrated systems of navigation and traffic control. The architecture features, construction methods, algorithms of the development and implication of the integrated navigation systems of various mobile objects were thoroughly described by reportsmen. Closing the conference the GosNIIAS team held the 20th anniversary panel session of "The Navigation and traffic control Academy" whose honorary member is academician of the Russian Academy of Sciences E.A. Fedosov. 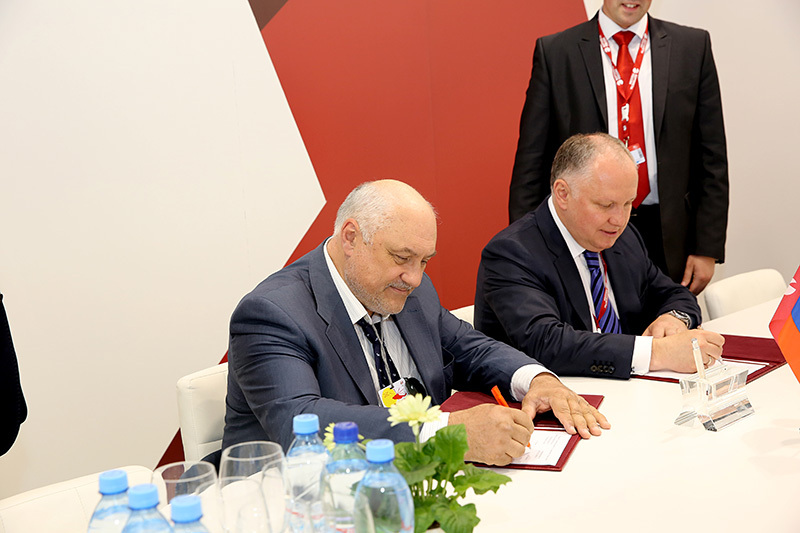 GosNIIAS and "Russian Helicopters" signed a cooperation agreement on the international exhibition HeliRussia-2015. GosNIIAS took part in the 8th international exhibition HeliRussia-2015 organized by the Ministry of Industry and Trade of the Russian Federation. 220 companies from 11 countries have taken part in this exhibition. The exhibition agenda included a conference, roundtable discussions and seminars. Members of the professional community discussed there the latest Russian and foreign developments in the helicopter industry of the very different allotment. Experts from the GosNIIAS Galushkin V.V. and Egorov E.G. performed in the «Aviation on-board equipment» conference with speeches "Works of GosNIIAS on the development of the normative and technical base of the design of the aircraft onboard equipment considering requirements of the international certification” and "Directions of the regulatory base and certification organization development of the onboard equipment hardware and software on the civil aircrafts". 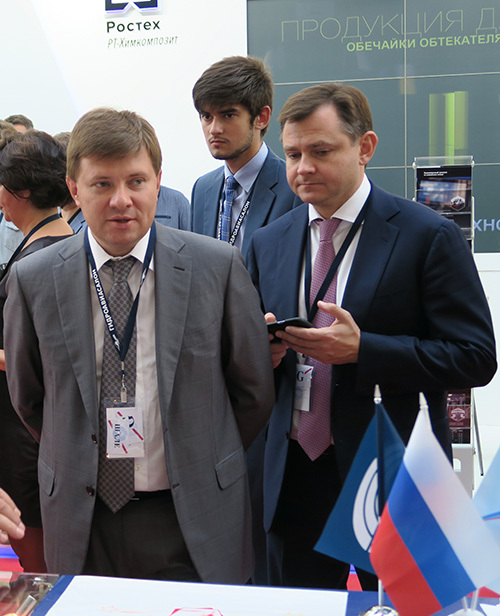 At the exhibition CEO of the Russian Helicopters A.A. Mikheyev and the CEO of the GosNIIAS S.Y. Zheltov signed the cooperation agreement on the implementation of helicopter projects. The agreement provides inoculation of modern technologies of the onboard equipment design, tests and certification to facilitate native helicopter’s competitiveness maintenance in the modern aviation market. ARP 4754A & DO-178C compliant model based system & software engineering. 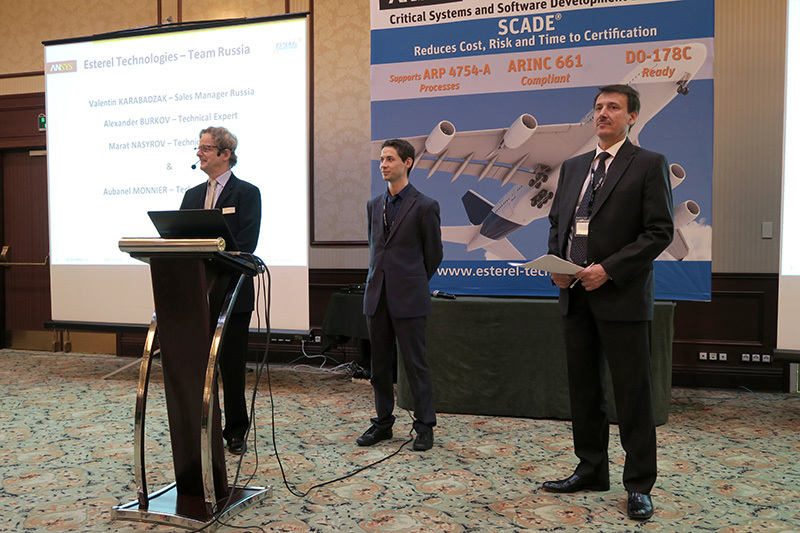 On the 19th of May in Moscow the GosNIIAS and the Esterel Technologies held a joint seminar "ARP 4754A & DO-178C compliant model based system & software engineering". The CEO of the GosNIIAS S.Y. Zheltov delivered a welcoming speech. Seminar participants took a close look at the latest version of the SCADE R16 and discussed the prospects of its use. Esterel representatives told about new methods of the model based design of systems and software. Esterel delegates presented the tools which were developed according to the ARP 4754A standards, DO-178C and the DO-330, applied by civil planes, helicopters and civil UAV. The DO-178C and DO-330 compliance. We invite you to take part in the 3d international research and practice conference “State and prospects of development of the onboard equipment in the field of IMA and CMS/ATM”, conducted by the GosNIIAS as a part of the International Aviation and Space salon “MAKS-2015”. The conference will be held on the 27th of August 2015 in the “Board of Scientists of TSAGI” (Zhukovsky city). Several reports will be delivered and there will be presentations dedicated to the innovative development results in the field of design of the perspective highly-integrated systems of the on-board equipment sets and CNS/ATM problem solving. More detailed information will be posted on our website later. From 3 to 5 February More Electric Aircraft conference (MEA 2015) was held at the conference center Pierre Baudis, in Toulouse (France). More than 220 representatives from all over the world including Europe, China, America, Canada and Israel took part in the conference. 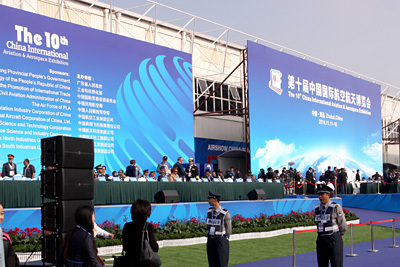 Topics of the “MEA 2015” covered the wide range of issues connected with the electric aircraft. The significant role of the specialized institutes in conducting prospective researches and remarkable increase in interest of the major aviation market insiders in cooperation with the scientific-research institutes were emphasized during the conference. Our specialists Zybin E., Kosyanchuk V. and Selvesuk N. prepared and presented the report «Electrification and Intellectualization. The two main aircraft power systems evolution trends». (Further information related to the topic you may acquire in the Conference information package). Optimization issues, which have already become quite traditional, did not gone unnoticed: the decrease in emissions and noise, economy of all types of energy and expenses came up over and over. The questions of standardization, reliability and diagnostics were widely discussed. It was emphasized that the introduction of the Integrated Module Avionics (IMA) tuned out to be a breakthrough in the development of avionics, that is why the importance of its further elaboration remains significant. GosNIIAS on the anniversary Airshow in China. - National corporations of aviation industry and many other Chinese government services and companies. 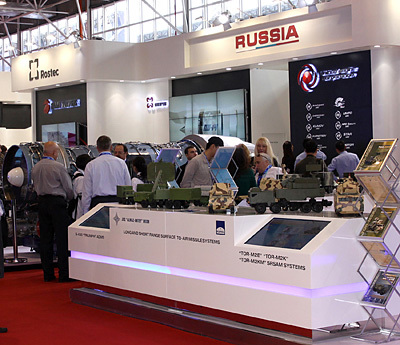 GosNIIAS represented Russia together with the other leading enterprises such as Rosoboronexport, Rostec Corporation, United Aircraft Corporation, Russian Helicopters, Sukhoi and many others. The Russian delegation showed more than 300 samples of its military and civilian equipment, including supermaneuverable multirole fighter Su-35 (also known as Super Flanker or by NATO reporting name: Flanker-E), Subsonic advanced jet trainer attack aircraft Yak-130 (NATO reporting name: Mitten), multifunctional front fighter MiG-29M2, etc. GosNIIAS representatives conducted a set of successful negotiations with the Chinese colleagues and outlined the ways to promote relations based on partnership. GosNIIAS has developed the MS-21 Aircraft Cockpit Man Machine Interface Bench to the order placed by IRKUT Corporation. According to the world practice, which has been followed already for decades, prior to launching production of the panels, controls, indication system, the computer-aided simulation of their composition, configuration, location in the cockpit, contents of the displayed information, used color gamma, etc. shall be completed. To this end, the cockpit prototyping - Man Machine Interface Bench (MMIB) corresponding to a particular type of the aircraft are designed. Due to use of virtual panels and controls the cockpit prototyping bench does not permit the full-scope refining of crew cockpit ergonomics. However, they are essential to the man-machine interface perfection when going through the procedures of taking-off and landing, routing, response to malfunction (engine fire, failure of aircraft equipment and systems, etc. ), which may occur in the air and on the ground. Basing on the test results, the aircraft designers make necessary correction in the design assignment of controls and panels and in specifications of the indication system. 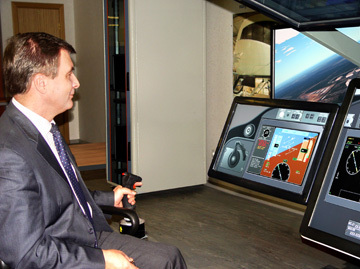 To perform analysis of the control and navigational equipment of aircraft MS-21 cockpit, IRKUT Corporation and GosNIIAS made a contract for designing of the MS-21 aircraft cockpit MMIB in 2011. Within the frames of the above contract GosNIIAS is to create the MS-21 aircraft cockpit on the basis of the touch-screen LC monitors showing the cockpit displays, virtual panels and controls. In addition, GosNIIAS is to develop the models of engine, aircraft systems and equipment suitable for perfection of the man-machine interface during the procedure animation. To enable the required development, IRKUT Corporation forwarded the package of aircraft data available as of the given time. 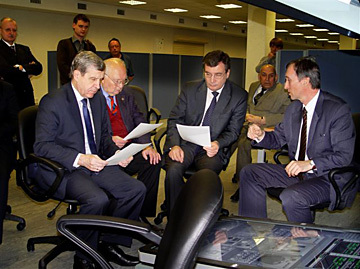 Early in November of 2012 the first stage of developed prototyping simulator of aircraft MS-21 cockpit was presented to the management of IRKUT Corporation and GosNIIAS. On behalf of IRKUT Corporation the representation was attended by the Vice President for Aircraft Engineering – Director of the Engineering Center of IRKUT Corporation Konstantin Popovich and Head of the Department – Deputy Chief Designer for Equipment Petr Petrov and on behalf of GosNIIAS - by the Research Manager, First Deputy General Director Yevgeny Fedosov and Deputy General Director, Chief Engineer Aleksandr Gerasin. In the process of presentation the current functional capabilities of MMIB were demonstrated and the opportunity of “taking-off” and “flying” the MS-21 aircraft was offered. The management of IRKUT Corporation appreciated the work completed by GosNIIAS specialists. Konstantin Popovich wished the designers to maintain the rate of work on the MMIB and actualize in the MMIB software the changes, which are made in the equipment in the process of aircraft engineering. In this case it would be possible to use the software prepared for the MMIB in designing the “electronic bird” and “iron bird” and as the software data package for development of the crew training simulators of MS-21 aircraft. On 18 August 2011 in the frame of the International Scientific Symposium «Aviation technologies of the 21st century» FSUE «GosNIIAS» together with the Union of Aviation Industrialists will hold the «CNS/ATM Avionics» International Conference. Conference will be opened by officials of the Ministry of Transport of the Russian Federation and the Ministry of Industry and Trade of the Russian Federation. Venue: 7, Zhukovsky str., Zhukovsky, Moscow region, Russian Federation. Bilateral Russian-Austrian scientific seminar "Visual Computing in Fundamental Science and Academic Research", October, 19–25, 2009, FGUP «GosNIIAS». International Workshop "Optical Metrology and Visualization - for design, manufacturing, quality assurance", April, 21-23, 2009, FGUP «GosNIIAS», Russia. The Seminar is organized by FGUP «GosNIIAS» - State Research Institute of Aviation System, Russia and Fraunhofer IFF – Fraunhofer Institute for Factory Operation and Automation, Germany, with the support of Russian Academy of Science. International Workshop "Optical 3D Metrology - for design, manufacturing, quality assurance", February, 14-15, 2007, FGUP «GosNIIAS», Russia. The Seminar is organized by FGUP «GosNIIAS» - State Research Institute of Aviation System, Russia and Fraunhofer IFF – Fraunhofer Institute for Factory Operation and Automation, Germany in the framework of the project Interlogistica with support of Russian Agency for Industry (RosPROM), Russian Academy of Science.